What do you do at Watermelon? I work in marketing. As a marketer I’m responsible for awareness of Watermelon’s brand and her product (AI chatbots), both online and offline. What challenges do you encounter? Chatbots are being used more and more often to automate contact with customers. There are still plenty of people that think that chatbots are stupid and can’t do much. It’s my job to prove to them otherwise, by providing the right information and real-world examples. We can help them understand that even simple chatbots are quite advanced, and they’re only getting better, faster and smarter. What skills do you need to be a marketer at Watermelon? You really need to understand the challenges or issues our target group is facing, so you can try to address these in marketing communications. You’ll also need to know where to find your target group, and what tools you can use to reach them, both online and offline. Online marketing requires expertise in SEO (search engine optimization) and SEA (search engine advertising). You need to know how to use Google Analytics. You understand who’s visiting the website, what they do there and how you can better serve them. Deploying campaigns on a variety of channels requires a meticulous attention to detail. It’s important to manage your time well so that you don’t end up dealing with surprises. But sometimes they happen. We often exhibit at fairs and we also organize knowledge meetups, which requires some logistics and planning. 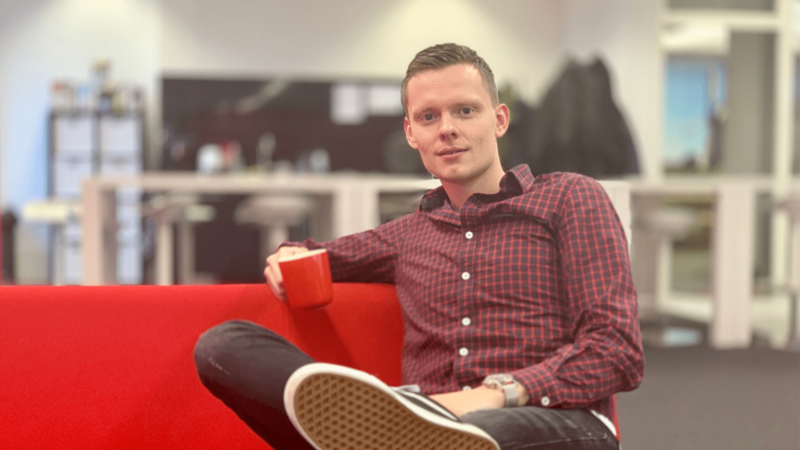 What’s it like, a day in the life of Joris? I always start my workday with a great cup of coffee. Then my team discusses yesterday’s results. We have a board where we keep track of everything. The sales team sometimes joins our morning stand-up meeting to talk about what’s working well and what could be going better. Then we see how the current campaigns are performing and explore how we can set up new campaigns. I work together with Vincent, another marketer at Watermelon. I’m usually in meetings, and when I’m not I’m optimising SEO, SEA and PR campaigns. In addition, there’s typically an upcoming event that also requires my attention. No workday is the same. Of course, there are things that I do every day, but there are sometimes things that come up that we need to address as Watermelon. It’s funny to realise you can spend a whole day on something that just popped up. I’m always busy trying to get more leads. I enjoy finding new ways to understand the people we’re trying to reach, getting really creative in finding ways to meet those needs, and working together with a team to make it happen. The variety is fun and keeps things fresh! What’s one accomplishment of which you’re the proudest? We’ve had several great campaigns, but the best one was the Sintbot for the Sinterklaas holiday last December. We created a detailed plan and dedicated quite some time to the project. It was very cool when the national news site nu.nl and national radio were talking about Watermelon’s Sintbot! Always get your customer service questions answered immediately: it sounds almost too good to be true, but soon it can be. 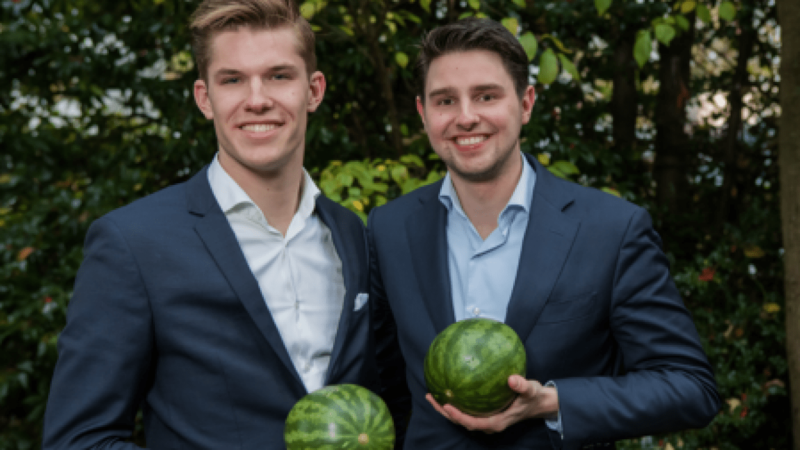 Voted 2016’s most promising young entrepreneurs, Alexander Wijninga and Charl Haas are set to launch their innovative customer service platform Watermelon Messenger on February 1st. Using artificial intelligence, their aim is to reinvent the world of customer service.